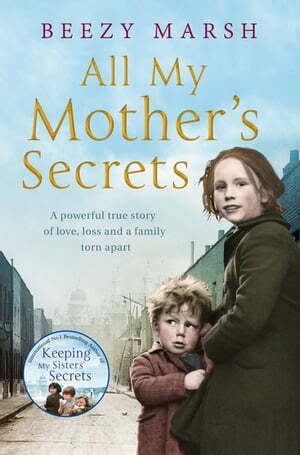 Collins Booksellers - All My Mother's Secrets by Beezy Marsh, 9781760781965. Buy this book online. Annie is the eldest daughter of a laundress in Acton, London, raised to keep the rich families of Kensington spick and span. As she grows up in poverty in the 1920s and 1930s, her life centres on the family business, working long hours of hard physical labour. When she's not in the laundry she's looking after her younger brother and two step-sisters. But she's haunted by thoughts of her real father and what happened to him. All she knows is that he died in the Great War - her mother will not talk about him and his very existence is shrouded in secrecy. Annie's search for the truth angers and frightens her mother, who throws her out of the house. Undaunted, Annie continues, convinced that solving the puzzle holds the key to her future happiness, as she simply doesn't seem able to trust men. Can Annie cut the apron strings binding her to the drudgery of life in the laundry business and find the love that had eluded her so far? Author Beezy Marsh's first book, Keeping My Sisters' Secrets, was a Sunday Times bestseller. In ***All My Mother's Secrets***she has crafted an equally rich, moving and emotional story of a young woman's journey as she faces up to the choices of the previous generation.